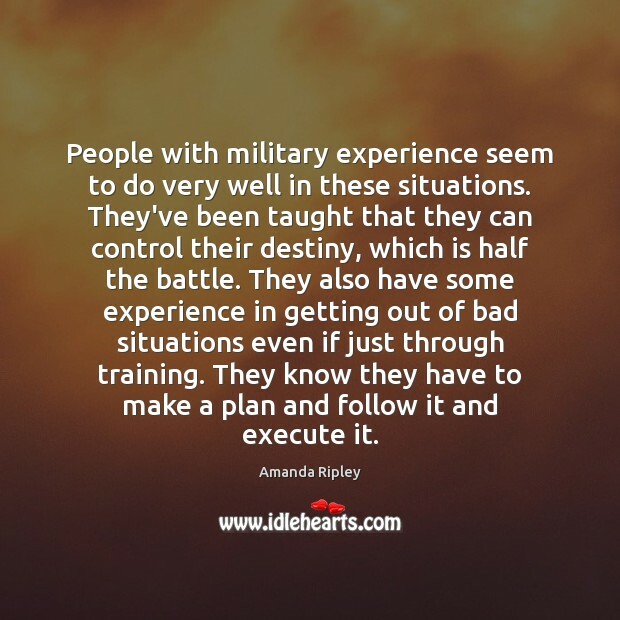 Enjoy the best inspirational, motivational, positive, funny and famous quotes by Amanda Ripley. Use words and picture quotations to push forward and inspire you keep going in life! People help way more than we expect, way more than makes sense. But when you talk to people called heroes, they often say they did it for themselves. 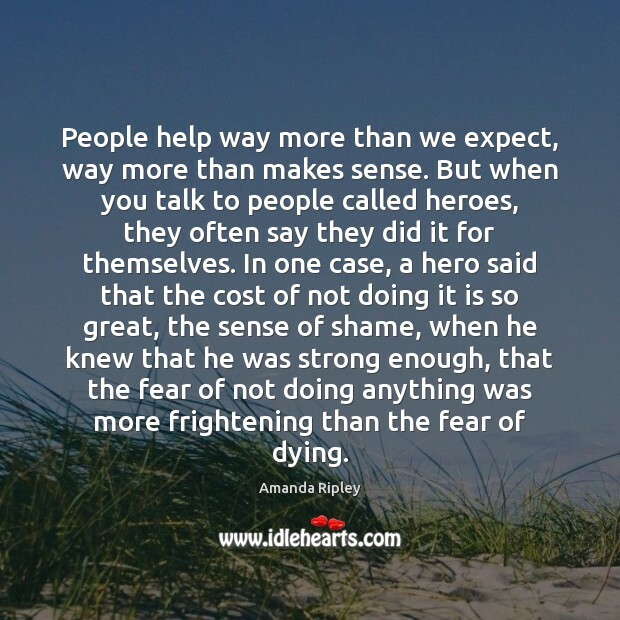 In one case, a hero said that the cost of not doing it is so great, the sense of shame, when he knew that he was strong enough, that the fear of not doing anything was more frightening than the fear of dying. 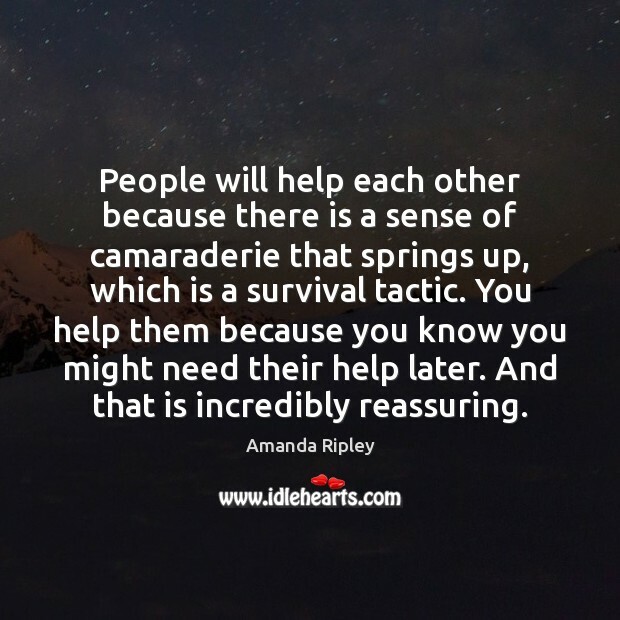 People will help each other because there is a sense of camaraderie that springs up, which is a survival tactic. You help them because you know you might need their help later. And that is incredibly reassuring. Well, there isn't any one profile of a survivor, but there are profiles. 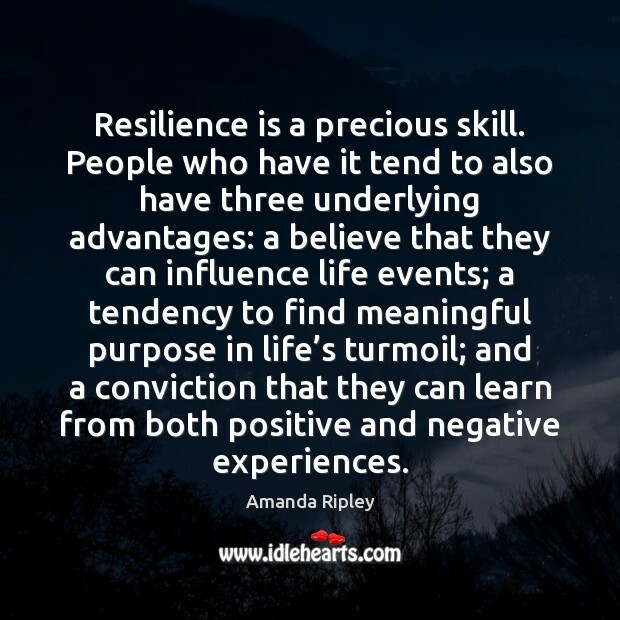 Depending on the disaster you have certain advantages and disadvantages just based on who you are. 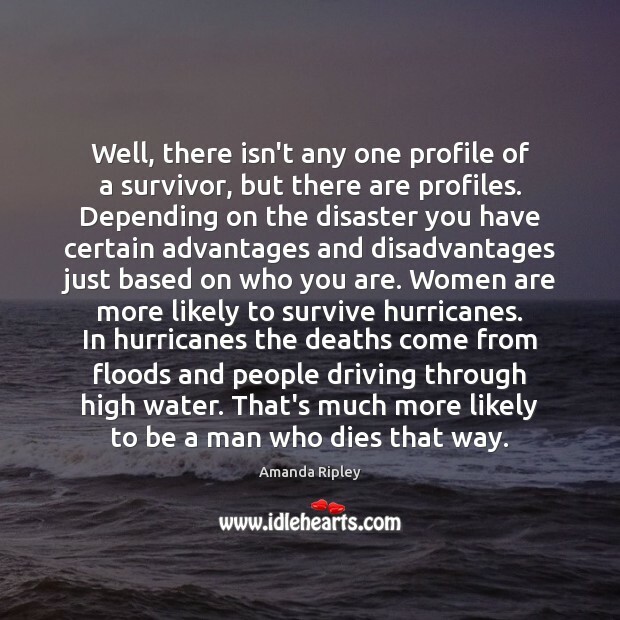 Women are more likely to survive hurricanes. In hurricanes the deaths come from floods and people driving through high water. That's much more likely to be a man who dies that way. 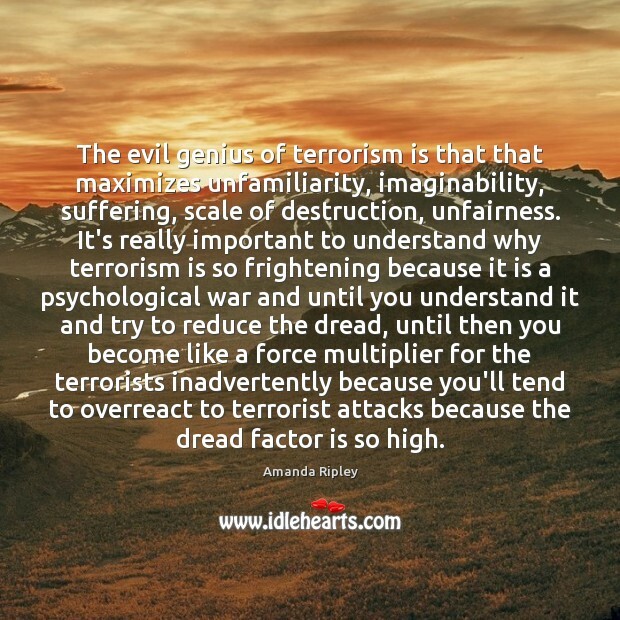 The evil genius of terrorism is that that maximizes unfamiliarity, imaginability, suffering, scale of destruction, unfairness. It's really important to understand why terrorism is so frightening because it is a psychological war and until you understand it and try to reduce the dread, until then you become like a force multiplier for the terrorists inadvertently because you'll tend to overreact to terrorist attacks because the dread factor is so high. 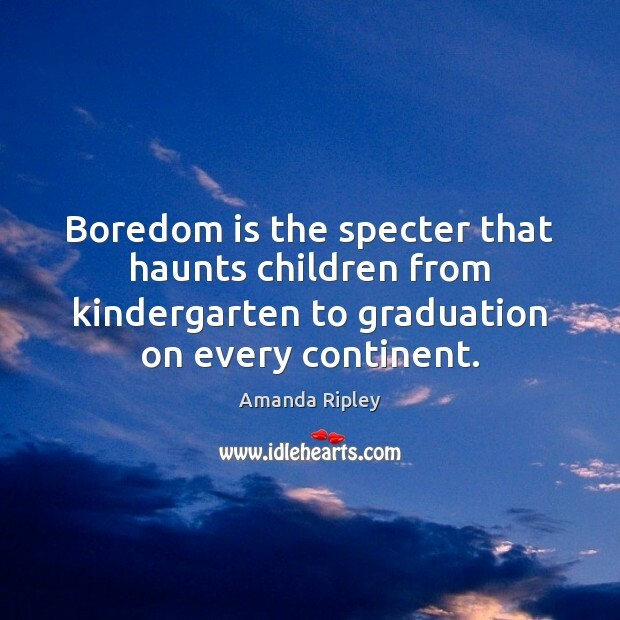 Boredom is the specter that haunts children from kindergarten to graduation on every continent. We don't talk about that at all as a country. I think that most people assume that there's nothing they could do if a nuclear bomb went off in their city. And that's just not true. Most people would survive most terrorist nuclear attacks because the bombs would likely be much smaller than those we were dealing with in the Cold War. 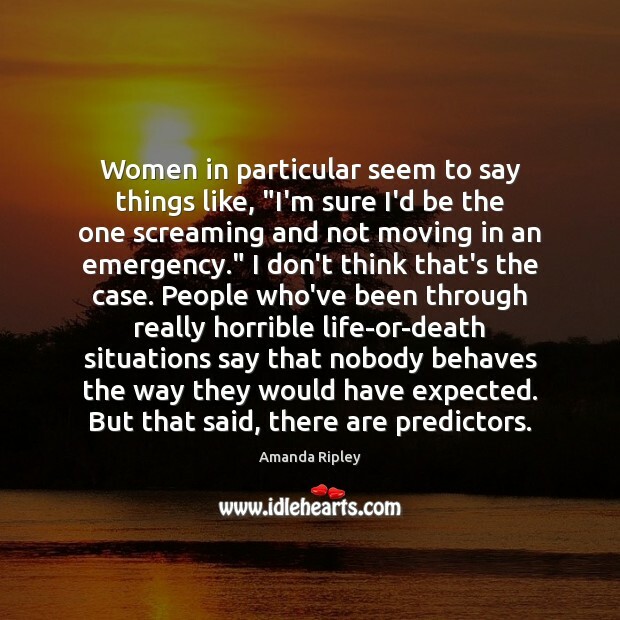 Women in particular seem to say things like, "I'm sure I'd be the one screaming and not moving in an emergency." I don't think that's the case. People who've been through really horrible life-or-death situations say that nobody behaves the way they would have expected. But that said, there are predictors. 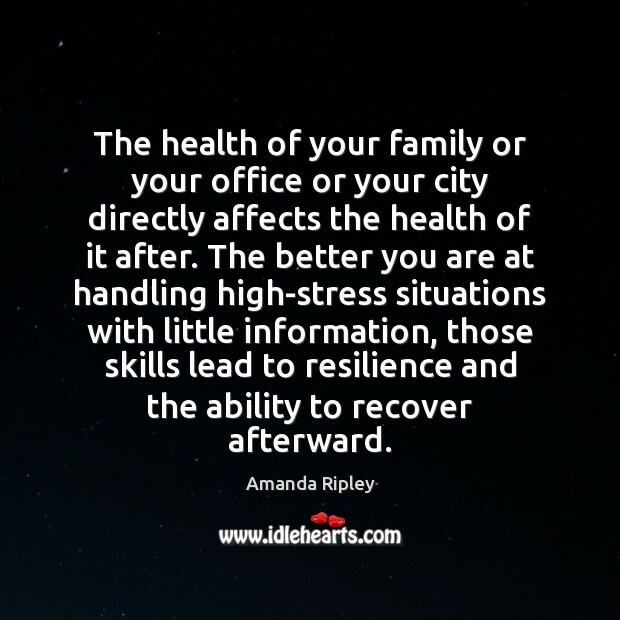 The health of your family or your office or your city directly affects the health of it after. The better you are at handling high-stress situations with little information, those skills lead to resilience and the ability to recover afterward. 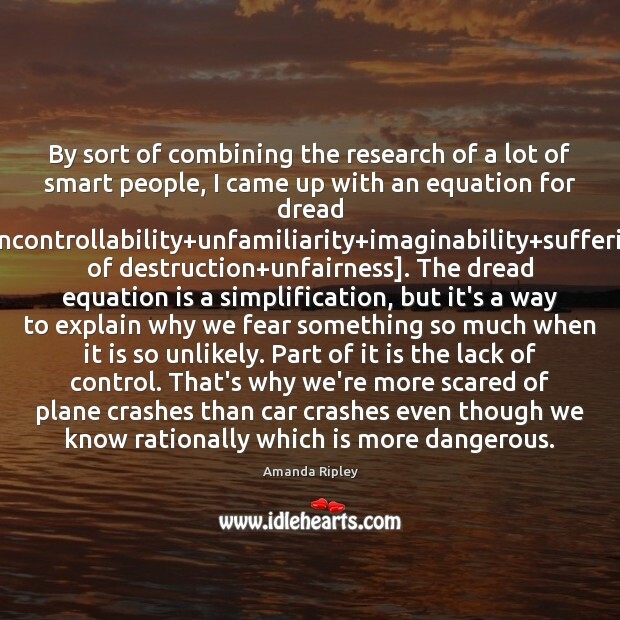 By sort of combining the research of a lot of smart people, I came up with an equation for dread [dread=uncontrollability+unfamiliarity+imaginability+suffering+scale of destruction+unfairness]. The dread equation is a simplification, but it's a way to explain why we fear something so much when it is so unlikely. Part of it is the lack of control. That's why we're more scared of plane crashes than car crashes even though we know rationally which is more dangerous. Most Korean parents saw themselves as coaches, while American parents tended to act more like cheerleaders. My anxiety about disasters is lower. The more you know, the less scary any of this stuff is. And that's my hope for the book. 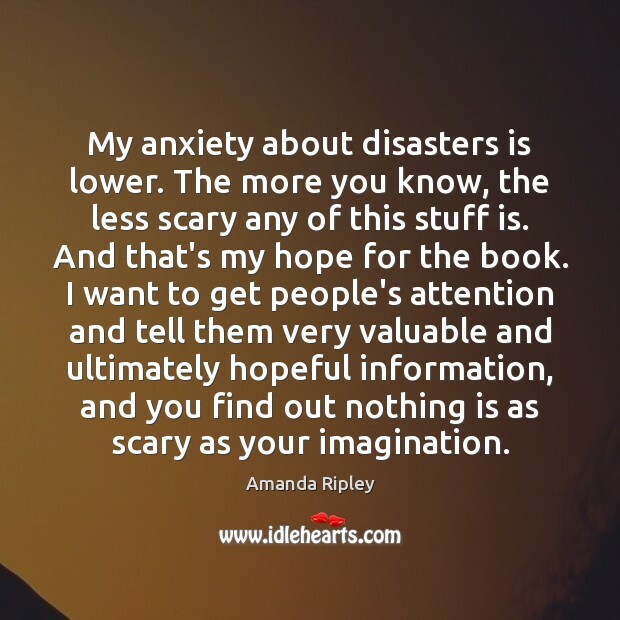 I want to get people's attention and tell them very valuable and ultimately hopeful information, and you find out nothing is as scary as your imagination. 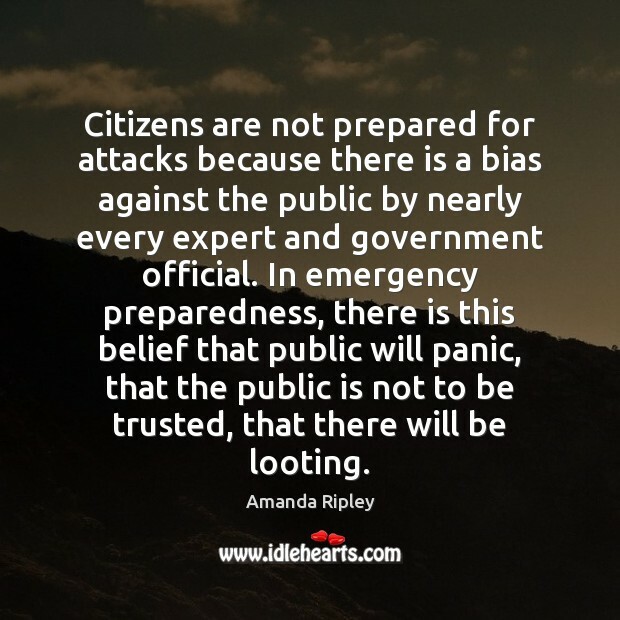 Citizens are not prepared for attacks because there is a bias against the public by nearly every expert and government official. In emergency preparedness, there is this belief that public will panic, that the public is not to be trusted, that there will be looting. You could reduce people's fears if you gave them some useful information before things went wrong. 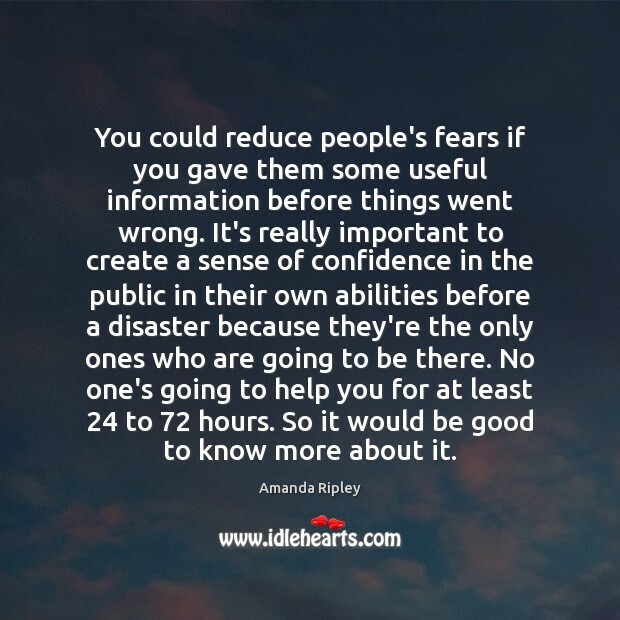 It's really important to create a sense of confidence in the public in their own abilities before a disaster because they're the only ones who are going to be there. No one's going to help you for at least 24 to 72 hours. So it would be good to know more about it. The one thread that was most surprising and most consistent was the lack of fear that people felt at the worst moment. They felt a lot of fear in early stages, when they're just realizing what's happening. But then things really seemed to be at their peak of terror, the fear went away. You can imagine why that's useful. At that moment your brain needs to focus all its attention on surviving, so people will feel a sense of calm as their brain tries to sort out a plan. 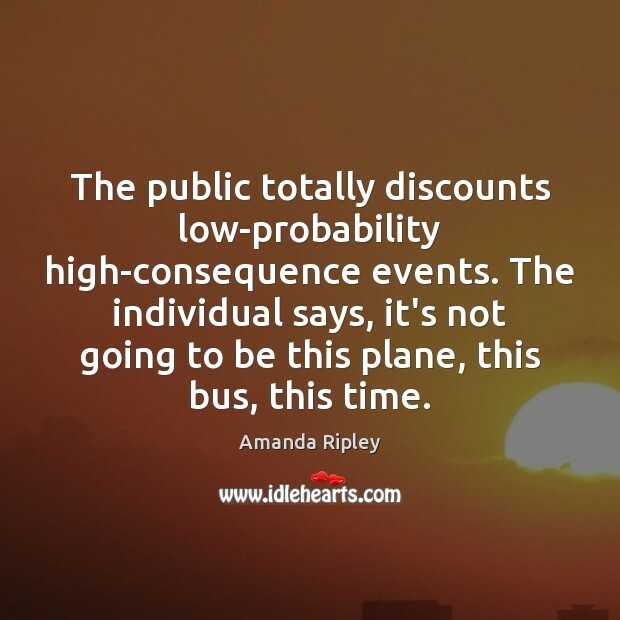 The public totally discounts low-probability high-consequence events. The individual says, it's not going to be this plane, this bus, this time.